The 9 Best Bookstores in West Virginia! It's been said that reading is to the mind what exercise is to the body. The health benefits of reading have been known for some time, but among the best reasons include increased knowledge, stress reduction, better writing skills, and greater concentration. These nine great, locally-owned and operated bookstores in West Virginia will help to exercise your brain. There is more to Taylor Books in Charleston, West Virginia, than books. This independent bookstore has been open over 25 years and is a destination you won't want to miss if you're in the area. Besides a welcoming atmosphere, visitors can enjoy looking at the art gallery on premise and take time to sip a cup of coffee or a glass of wine while perusing their favorite periodical. The store also boasts a large and unique offering of cards and small gifts. This full-service bookstore has been offering a mix of reading materials for over 26 years. Located at Stratford Springs Complex in Wheeling, West Virginia, Words & Music carries CDs and vinyl records. While visitors select their favorite music, they can also choose from a wide selection of new and used books, artwork, and specialty chocolates. Parking is plentiful, and the store is open every day except Sunday. This unique full-service bookstore offers a great selection of new and used books. Four Seasons Books in Shepherdstown, West Virginia, opened its doors over 20 years ago and is located in the beautiful and historic downtown area. Visitors here will find great customer service and if you're looking for a certain title, they'll usually be able to find it for you within a few days. With over 50 years of experience, The West Virginia Book Company in Charleston, West Virginia is the premier place to visit for all topics related to the Mountain State. From ghost stories and folklore to the state's part in the Civil War and other local history selections, visitors will find it here. They have a great section of children's books and can ship orders quickly. Voted Independent Publisher of the Year last year, Headline Books in Terra Alta, West Virginia, has been the recipient of international awards as far away as London. This is truly a unique bookstore because they bring the book store to local schools, libraries, or other groups as a way of raising funds. Authors are often available to sign their books, and events include entertaining and informative talks with those attending. Dedicated to preserving West Virginia history, Mountain Heritage Books in St. Marys, West Virginia is more than a bookstore. Visitors can search for specific family history books, county histories and other books about the state. They also have a collection of rare and out-of-print books and antique atlases that can be purchased on site or shipped. Dedicated mainly to textbooks, The Book Exchange in Morgantown, West Virginia has been in operation since 1934. They also have a great selection of men and women's WVU clothing, souvenirs, and accessories for fans of all ages. They have two locations and are open every day except Sundays. If you're looking for unique surroundings and a great place to relax and read, you need to visit Books and Brews in Hurricane, West Virginia. Visitors love the casual atmosphere and the food and drink selection is fresh and filling. Appropriate for all ages, you'll want to try their famous Chai Tea Lattes, wood-grilled pizza, flatbread, and sandwiches. 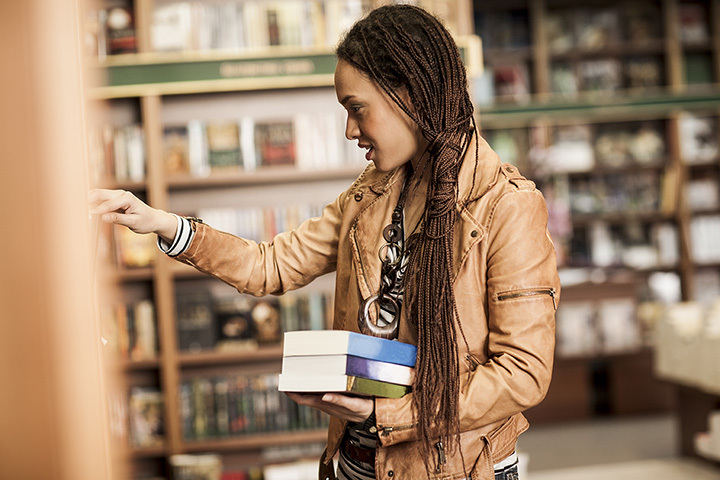 Pre-Owned Books operated from Morgantown, West Virginia, is an online bookstore that specializes in buying and selling new and used college textbooks. In business for over 75 years, they provide great discounted prices and second-to-none customer service. Their goal is to provide the right books for the lowest prices and handle all requests with a real person instead of an answering machine.